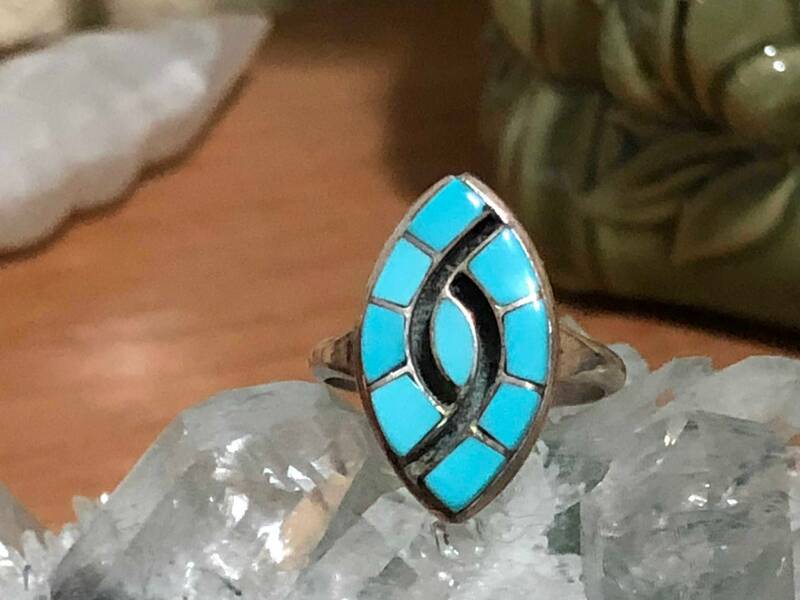 Don't miss out on owning this exceptional work of Southwestern wearable art! 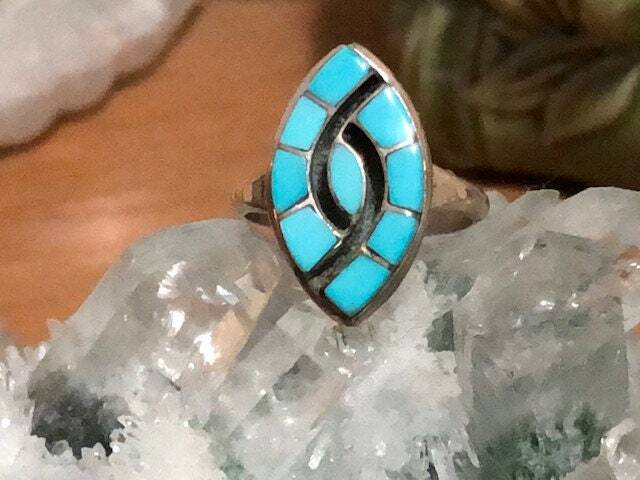 Handmade, this hummingbird eye shaped ring features sterling silver holding multiple stones of genuine inlaid natural Sleeping Beauty Turquoise. 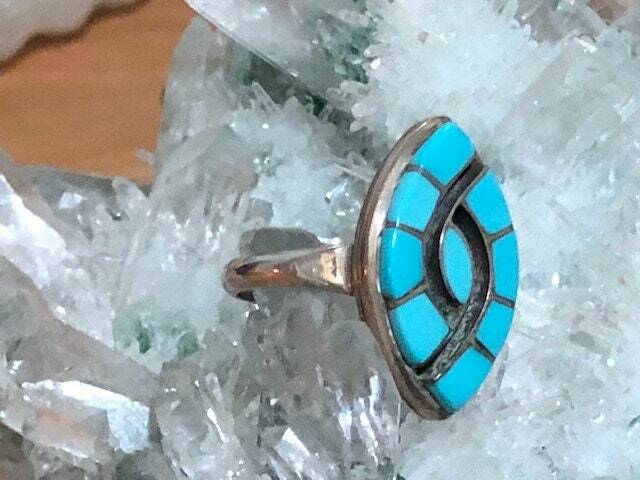 The colors of these stones are vibrant and alive in the tradition of old Zuni jewelry. The Hummingbird Eye Ring is also known as a Friendship Ring. 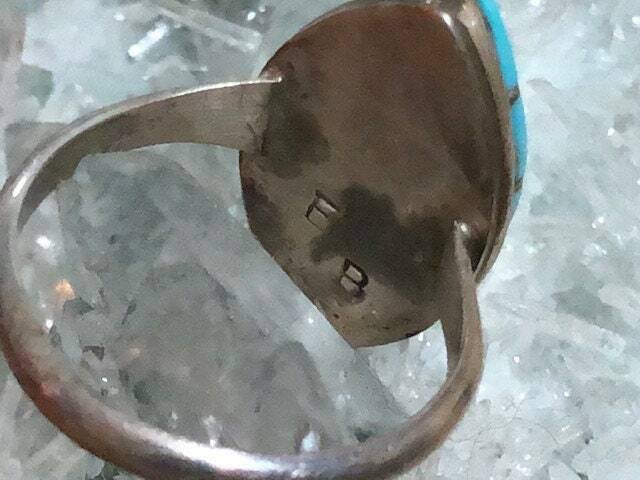 This Native American ring is stamped with the initials of artist "EB" on the back. This hummingbird eye ring is only $90. Order now to guarantee availability.